With respect to Gulf War veterans’ health, VA pays no more attention to Congress than it does to science. As described below, Congress has ordered report after report from the Institute of Medicine (IOM), specifying in law the work to be done. However, VA has consistently failed to contract for what Congress actually ordered. The IOM has been a willing accomplice, changing its own standards of evidence and appointing biased committees to accommodate VA’s purposes. As a result, the reports inevitably produce conclusions that deny any connection between toxic exposures and the shattered health of Gulf War veterans, and promote the discredited 1990’s VA position that their illness is largely psychiatric. These same corrupt practices have been employed to deny the effect of toxic exposures from burn pits on the health of recent Iraq and Afghanistan veterans. 1. Public Laws 105-277 and 105-368, enacted in 1998, are the foundation for the IOM Gulf War and Health reports. Congress required VA to contract with the IOM to evaluate the health risks of thirty-three toxic substances and medications to which troops were exposed in the war. The law required consideration of animal studies because most studies of the effects of toxic substances are necessarily done in animals. But VA did not contract for consideration of animal studies, and the IOM actually changed its standards of evidence to exclude animal studies – the exact opposite of what Congress ordered. As a result, these studies – the basic studies that show these toxic substances are toxic -- have never been considered in any IOM report, and no IOM report has ever found sufficient evidence that any of the thirty-three toxic agents are associated with health problems. The entire IOM Gulf War series of reports is a house of cards, as detailed in Appendix A.
VA ignored this direction and instead contracted with the IOM for a literature review of largely psychiatric diseases by a committee with no experience in treating Gulf War veterans, heavily weighted with specialists in psychosomatic medicine and stress. Rather than capturing the valuable treatment experience of Gulf War veterans’ doctors, as Congress intended, the resulting 2013 IOM treatment report was a restatement of government fictions from the 1990’s, foreshadowing the 2016 IOM report and the new VA/DoD Clinical Practice Guideline. 3. In 2008, Congress enacted Public Law 110-389 requiring VA to contract with the IOM “to conduct a comprehensive epidemiological study … [to] identify the incidence and prevalence of diagnosed neurological diseases, including multiple sclerosis, Parkinson’s disease, and brain cancers . . .” in 1991 Gulf War veterans, Post-9/11 Global Operations veterans, and non-deployed comparison groups. For seven years, VA refused to contract for the study, despite repeated urging by the Research Advisory Committee on Gulf War Veterans Illnesses. In 2015, VA finally contracted with the IOM, but wrote in the contract that the IOM could only use VA data. The IOM committee declined to proceed with the study because the VA data was insufficient for a rigorous study. In the absence of the study ordered by Congress in 2008, the 2016 report found the evidence insufficient to reach conclusions that these conditions are associated with Gulf War service. 4. The membership of IOM Gulf War report committees has usually been biased toward VA’s discredited position, including the 2016 committee. current Gulf War research experience was added, the only person on the committee with such experience. Public Laws 105-277 and 105-368 are the foundation for the Institute of Medicine (IOM) Gulf War and Health reports. Congress required VA to contract with the IOM to evaluate the health risks of thirty-three toxic substances and medications to which troops were exposed in the war. The law required consideration of animal studies on a par with human studies because most studies of toxic substances are necessarily done in animals for ethical reasons. But VA did not contract for consideration of animal studies, and the IOM actually changed its standards of evidence to exclude animal studies – the exact opposite of what Congress ordered. As a result, these studies – the basic studies that show these toxic substances are toxic -- have never been considered in any IOM report, and no IOM report has ever found sufficient evidence that any of the thirty-three listed toxic agents are associated with health problems. Consider, for example, the twenty-three animal studies on pages 160-161 of the 2008 report of the Research Advisory Committee on Gulf War Veterans Illnesses, showing that low levels of nerve gas, below the level that causes symptoms at the time of exposure, cause long-term adverse health effects, contrary to what was believed at the time of the war. Because of these studies, an update report on the effects of sarin was ordered from the IOM, but as described below, VA and IOM staff conspired to ensure that the report would not consider animal studies in its conclusions, even though new animal studies were the only reason for ordering the report. The entire IOM Gulf War series of reports is a house of cards, as detailed below. Congress required consideration of studies in animals because most studies of toxic substances and drugs are necessarily done in animals for ethical reasons. It did not ask for information on how much of an agent Gulf War troops were exposed to. It was well known that no such information exists. The same admission can be found in every IOM Gulf War report on the health effects of toxic substances. Thus, the 2016 report did not consider these basic animal studies in their conclusions, relying on the earlier reports, but the earlier reports didn’t consider them either. As a result, since most studies of toxic exposures are done in animals, no IOM report has ever found sufficient evidence that any of the thirty-three listed toxic exposures and medications are associated with adverse health outcomes. The whole IOM Gulf War series of reports is a house of cards. But Congress never asked for consideration of exposure data. It was well known that data did not exist. What it did ask for was consideration of animal data. But it has never gotten it. It has never gotten it because VA did not contract for the reports that Congress ordered. The IOM has been a willing collaborator in this deceit, changing its own standards of evidence to exclude animal studies – exactly the opposite action from what the law required. In fact, however, the standards were subtly changed from the Agent Orange standards to exclude consideration of animal studies. Animal studies are discussed in the Gulf War reports, but when it comes to arriving at the reports’ conclusions, they are not considered, applying the doctored standards of evidence (what the IOM calls the “categories of association”). For sixteen years, VA, DoD, and IOM staff have manipulated IOM Gulf War reports on the health effects of veterans’ toxic exposures. As a result, the reports have consistently found “insufficient evidence” that the exposures are associated with illness, leading to VA determinations that the illness does not qualify for benefits as service-connected. Of equal importance, these dishonest reports have also misled researchers seeking to understand the causes of Gulf War illness in order to identify treatments to improve veterans’ health and preventive measures to protect future US forces. In recent years, the same techniques have been applied to IOM reports on the health effects of toxic substances released by burn pits on recent Iraq and Afghanistan veterans. The balance of this Appendix will review in detail these corrupt practices. 1. The governing statute expressly requires consideration of animal studies. In PL 105-277 and PL 105-368, Congress in 1998 directed the Department of Veterans Affairs to contract with the National Academy of Sciences (NAS, the parent organization of the Institute of Medicine, IOM), to review the scientific literature regarding substances to which troops were exposed in the 1991 Gulf War to determine if these substances are associated with an increased risk of illness. These reports were to be used by the Secretary of Veterans Affairs in determining whether the illness should be presumed service-connected for the purpose of veterans’ benefits. (A) whether a statistical association exists between exposure to the agent … and the illness . . . Considering only human studies, and not the much larger relevant literature on animal studies, the IOM committees have never found sufficient evidence of an association for the exposures and illnesses experienced by Gulf War veterans. Following the reports of the IOM, the Secretary of Veterans Affairs has made no determinations of service-connection for these exposures and illnesses for veterans’ benefits. This pattern has been followed in all IOM Gulf War reports to date. More recently, it has been applied to IOM reports on the effects of toxic exposures fromburn pits on the health of recent Iraq and Afghanistan veterans. 2. The exclusion of animal studies was deliberate. A close examination of what occurred makes clear that the exclusion of animal studies was not an oversight. It was deliberate. - Limited/Suggestive Evidence of No Association. Each substance was ranked according to these categories. How a substance is ranked becomes the all-important conclusion of the report as to whether an association exists between an exposure and illness. 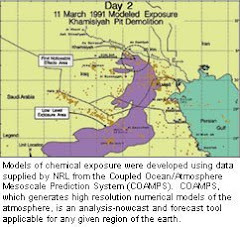 IOM Gulf War reports have repeatedly emphasized over the years that their methodology is based on the IOM Agent Orange reports. However, it is revealing to compare a category of association used in the Agent Orange reports with the same category used in the Gulf War reports. Thus, not only have the IOM Gulf War studies been conducted in violation of the direction Congress provided in the statute; this violation has been deliberate, with intent to conceal. As to why it was done, one can speculate based on the knowledge that the Agent Orange language, just a few years earlier, had produced an IOM report that found that Agent Orange exposure was associated with cancer (after two decades of government denial of any health consequence). This finding led to a presumption of service connection for thousands of Vietnam veterans with cancer. Thus, only if there has already been a finding of “sufficient evidence of association” do the issues of causality and biological plausibility arise, and a finding of “sufficient evidence of association” depends solely on human studies. Unless an association is found based on human studies, biological plausibility -- and animal studies -- are not considered. In short, in direct contravention of the law, the methodology established for the IOM Gulf War reports deliberately excluded animal studies from consideration as to whether an association exists between an exposure and an illness, the only question that matters in the determination of veterans’ benefits. 3. VA and IOM staff privately collaborated to produce these results. As to how this was done, the history of one of the IOM Gulf War reports provides an indication. The 2004 IOM Updated Literature Review of Sarin is the most egregious example of the distortion of science produced by excluding animal studies from the evidence considered in these reports’ conclusions. In late 2002, a number of new studies on sarin nerve gas, sponsored by the Department of Defense, revealed that contrary to previous belief, low level exposures (below the level required to produce symptoms at the time of exposure) produced long-term effects on the nervous and immune systems. Naturally, these studies were done in animals, not humans. In 2004, the IOM delivered its report. The Updated Literature Review of Sarin discussed the new animal studies in its text. However, true to form, the report did not consider animal studies in the all-important categories of association, even though the new animal studies were the only reason for doing the report. “As with previous committees, this committee used animal data for making assessments of biological plausibility … rather than as part of the weight of evidence to determine the likelihood that an exposure to a specific agent might cause a long-term outcome.” Updated Literature Review of Sarin (2004), p. 18 [below, p. 30] Accordingly, the report found insufficient evidence of an association. To understand this bizarre outcome, it is revealing that following Secretary Principi’s letter, an IOM proposal was prepared which became the basis for a contract between the IOM and VA.
“The committee will conduct a review of the peer-reviewed literature published since earlier IOM reports on health effects associated with exposure to sarin and related compounds. Relevant epidemiologic studies will be considered. With regard to the toxicological literature, the committee will generally use review articles to present a broad overview of the toxicology of sarin and to make assessments of biologic plausibility regarding the compound of study and health effects; individual toxicology research papers will be evaluated as warranted. In other words, the Statement of Task established that the update report would use the same “categories of association” as the earlier Gulf War reports. The “determinations on the strength of the evidence” would be made on the basis of the “associations between sarin and human health effects”. “With regard to the toxicological literature” (which included the new animal studies), its use would be confined to the assessment of “biological plausibility” to which animal studies had previously been relegated. Thus, the update report would exclude animal studies from its key conclusions, even though animal studies were the only reason for doing the report. Moreover, the Statement of Task set up another fundamental constraint for the report. The IOM committee would be permitted to address the potential health risks posed to the veterans “[i]f published peer-reviewed information is available on the dose of sarin exposure in Gulf War veterans.” As anyone familiar with Gulf War research would know, including Dr. Brown and his IOM counterparts, there is no published peer-reviewed information available on the dose of sarin exposure in Gulf War veterans, for the reason that no such information was collected during the war. As noted in the previous 2000 IOM report on sarin, “as discussed throughout this report, there is a paucity of data regarding the actual agents and doses to which individual veterans were exposed.” Gulf War and Health, Volume 1, p. 84. [below, p. 26] In order for the IOM committee to address the health risks posed to veterans, it had to meet a condition that was impossible to meet. These constraints in the Statement of Task were not contained in the letter from Secretary Principi requesting the report. (To the contrary, they appear to contradict it.) They must have come from the “conversations with yourself” referred to in Ms. Stoiber’s letter to Dr. Brown. Thus, conversations between VA and IOM staff determined the outcome of the report before the IOM committee to prepare the report was ever appointed. In summary, VA and the IOM have not complied with the law requiring the IOM Gulf War reports, restricting the scientific evidence required to be considered. This action has been deliberate. Conversations between VA and IOM staff have shaped the methodology of the reports so as to predetermine their outcome. Dr. Brown and Ms. Stoiber are long gone, and their successors are more careful regarding what they put in writing, but the corrupted Categories of Asssociation and all the IOM reports based on them still stand. 4. The IOM has recently applied this same corrupt standard to the health of recent Iraq and Afghanistan veterans, denying the adverse effects of toxic substances released by burn pits. In 2007 on-site military officers with environmental health responsibilities reported dangerous health effects of toxic exposures from burn pits on U.S. bases in Iraq and Afghanistan, particularly Joint Base Balad (JBB). A draft executive summary of a study, dated December 2007, showed dioxin levels at 51 times acceptable levels, particulate exposure at 50 times acceptable levels, volatile compounds at two times acceptable levels, and cancer risk from exposure to dioxins at two times acceptable levels for people at Balad for a year and at eight times acceptable levels for people at the base for more than a year. An IOM report was ordered by VA to study the subject. "[T]he Institute of Medicine has embarked on a comprehensive study with noted experts in environmental and occupational health to study the issue." "Is Burn Pit Smoke Hazardous To Your Health?”, Force Health Protection and Readiness magazine, vol. 5, issue 2, 2010, page 11. But then, when it came to arriving at conclusions, the IOM committee applied the Categories of Association that allowed only for consideration of human studies. It stated that it was "[f]ollowing the methods and criteria used by other IOM committees that have prepared reports for the Gulf War and Health Series and the Veterans and Agent Orange Series . . .") http://books.nap.edu/openbook.php?record_id=13209&page=6). There were no published studies of service members exposed to burn pits, so the committee relied on studies of groups like firefighters and incinerator workers. Accordingly, as reported on VA's website, the committee found only "limited but suggestive evidence of a link between exposure to combustion products and reduced lung function" and "inadequate or insufficient evidence of a relation to combustion products and cancer, respiratory diseases, circulatory diseases, neurological diseases, and adverse reproductive and developmental outcomes." It did not find the “sufficient evidence of an association” required for service connection. Thus, rigging IOM reports by corrupting the Categories of Association has been extended to a new generation of veterans, as well as continuing for Gulf War veterans. ``SEC. 1603. AGREEMENT WITH NATIONAL ACADEMY OF SCIENCES. preventive medicines or vaccines associated with Gulf War service. the date of enactment of this Act [Oct. 21, 1998]. undiagnosed illnesses) that are manifest in such members. ``(iv) Red fuming nitric acid. medicines and vaccines considered under paragraph (1). hazard, or medicine or vaccine and the illness. its conclusions under this subsection. modalities for populations with similar symptoms. feasibility of carrying out such studies. its activities under this section. other reviews previously conducted for purposes of this section. regarding the Academy's activities under the agreement. ``(C) any recommendations of the Academy under subsection (g). ending on the date of such report. ``(A) The designated congressional committees. ``(B) The Secretary of Veterans Affairs. reference to such other organization. ``SEC. 1604. REPEAL OF INCONSISTENT PROVISIONS OF LAW. Veterans Programs Enhancement Act of 1998 [Pub. L. 105-368, 112 Stat. exposure singularly or in combination. Security [now Armed Services] of the House of Representatives. enacted provisions similar to those in sections 1603 and 1605 of Pub. L.
record of evidence of such illness during the period of such service. was exposed to such agent, hazard, or medicine or vaccine. medicine or vaccine by reason of such service. listed in section 1117(g) of this title. covered by that determination for purposes of this section. analyses available to the Secretary. capable of replication, and withstand peer review. credible evidence against the association. warranted for each illness, if any, covered by the report. regulations setting forth the Secretary's determination. an explanation of the scientific basis for the determination. presumption of service connection for the illness. 277, which is set out in a note under section 1117 of this title. 2001--Subsec. (a)(4). Pub. L. 107-103, Sec. 202(b)(2), added par. section 1117 of this title. studies often focus on one agent at a time, they more easily enable the study of chemical mixtures and their potential interactions. Research on health effects of toxic substance includes animal studies that characterize absorption, distribution, metabolism, elimination, and excretion. Animal studies may examine acute (short-term) exposures or chronic (long-term) exposures. Animal research may focus on the mechanism of action (i.e., how the toxin exerts its deleterious effects at the cellular and molecular levels). Mechanism-of-action (or mechanistic) studies encompass a range of laboratory approaches with whole animals and in vitro systems using tissues or cells from humans or animals. Also, structure–activity relationships, in which comparisons are made between the molecular structure and chemical and physical properties of a potential toxin versus a known toxin, are an important source of hypotheses about mechanism of action. In carrying out its charge, the committee used animal and other nonhuman studies in several ways, particularly as a marker for health effects that might be important for humans. If an agent, for example, was absorbed and deposited in specific tissues or organs (e.g., uranium deposition in bone and kidney), the committee looked especially closely for possible abnormalities at these sites in human studies. One of the problems with animal studies, however, is the difficulty of finding animal models to study symptoms that relate to uniquely human attributes, such as cognition, purposive behavior, and the perception of pain. With the exception of fatigue, many symptoms reported by veterans (e.g., headache, muscle or joint pain) are difficult to study in standard neurotoxicological tests in animals (OTA, 1990). For its evaluation and categorization of the degree of association between each exposure and a human health effect, however, the committee only used evidence from human studies. Nevertheless, the committee did use nonhuman studies as the basis for judgments about biologic plausibility, which is one of the criteria for establishing causation (see below). Epidemiology concerns itself with the relationship of various factors and conditions that determine the frequency and distribution of an infectious process, a disease, or a physiological state in human populations (Lilienfeld, 1978). Its focus on populations distinguishes it from other medical disciplines. Epidemiologic studies characterize the relationship between the agent, the environment, and the host and are useful for generating and testing hypotheses with respect to the association between exposure to an agent and health or disease. The following section describes the major types of epidemiologic studies considered by the committee. general use in the United States (PAC, 1996) at that time. However, EPA has since placed restrictions on some of the insecticides used during the Gulf War. To determine the specific solvents used in the Gulf War the committee gathered information from several sources, including veterans, OSAGWI (2000), and DOD’s Defense Logistics Agency. As a result of its research, the committee ultimately identified 53 solvents for review (Appendix D). 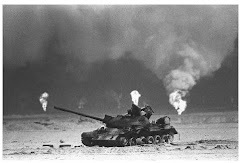 There is little information to characterize the use of solvents in the Gulf War. Wartime uses of solvents (such as vehicle maintenance and repair, cleaning, and degreasing) probably paralleled stateside military or civilian uses of solvents, but operating conditions in the Gulf War (such as ventilation and the use of masks) may have varied widely from stateside working conditions. The most thoroughly documented solvent exposure involved spray-painting with chemical-agent-resistant coating (CARC) (OSAGWI, 2000). Thousands of military vehicles deployed to the Gulf War were painted with tan CARC to provide camouflage protection for the desert environment and a surface that was easily decontaminated. Not all military personnel involved in CARC painting were trained in spray-painting operations, and some might not have had all the necessary personal protective equipment (OSAGWI, 2000). Personnel engaged in CARC painting were exposed to solvents in the CARC formulations, paint thinners, and cleaning products. As noted in the OSAGWI report, some of the solvents used to clean painting equipment might have been purchased locally and therefore not identified. Investigations of the health effects of past wars often focused on narrowly defined hazards or health outcomes, such as infectious diseases (for example, typhoid and malaria) during the Civil War, specific chemical hazards (for example, mustard gas and Agent Orange) in World War I and Vietnam, and combat injuries. Discussion of the possible health effects of the Gulf War, however, involves many complex issues, such as exposure to multiple agents, lack of exposure information, nonspecific illnesses that lack defined diagnoses or treatment protocols, and the experience of war itself. The committee was not charged with addressing those issues, but it presents them here to acknowledge the difficulties faced by veterans and their families, researchers, policy-makers, and others in trying to understand Gulf War veterans’ health. mittee evaluated the strength of the evidence for or against associations between health effects and exposure to the agents being studied. The committee used five previously established categories to classify the evidence for association between exposure to a specific agent and a health outcome. The categories closely resemble those used by several IOM committees that evaluated vaccine safety (IOM, 1991, 1994a), herbicides used in Vietnam (IOM, 1994b, 1996, 1999), and indoor pollutants related to asthma (IOM, 2000). Although the categories imply a statistical association, the committee had sufficient epidemiologic evidence to examine statistical associations for only one of the agents under study (i.e., depleted uranium), there was very limited epidemiologic evidence for the other agents examined (i.e., sarin, pyridostigmine bromide, and anthrax and botulinum toxoid vaccines). Thus, the committee based its conclusions on the strength and coherence of the data in the available studies. In many cases, these data distinguished differences between transient and long-term health outcomes related to the dose of the agent. Based on the literature, it became incumbent on the committee to similarly specify the differences between dose levels and the nature of the health outcomes. This approach led the committee to reach conclusions about long- and short-term health effects, as well as health outcomes related to the dose of the putative agents. The final conclusions expressed in Chapters 4–7 represent the committee’s collective judgment. The committee endeavored to express its judgments as clearly and precisely as the available data allowed. The committee used the established categories of association from previous IOM studies, because they have gained wide acceptance for more than a decade by Congress, government agencies, researchers, and veteran groups. - Sufficient Evidence of a Causal Relationship. Evidence is sufficient to conclude that a causal relationship exists between the exposure to a specific agent and a health outcome in humans. The evidence fulfills the criteria for sufficient evidence of an association (below) and satisfies several of the criteria used to assess causality: strength of association, dose–response relationship, consistency of association, temporal relationship, specificity of association, and biological plausibility. - Sufficient Evidence of an Association. Evidence is sufficient to conclude that there is a positive association. That is, a positive association has been observed between an exposure to a specific agent and a health outcome in human studies in which chance, bias, and confounding could be ruled out with reasonable confidence. - Limited/Suggestive Evidence of an Association. Evidence is suggestive of an association between exposure to a specific agent and a health outcome in humans, but is limited because chance, bias, and confounding could not be ruled out with confidence. - Inadequate/Insufficient Evidence to Determine Whether an Association Does or Does Not Exist. The available studies are of insufficient quality, consistency, or statistical power to permit a conclusion regarding the presence or absence of an association between an exposure to a specific agent and a health outcome in humans. - Limited/Suggestive Evidence of No Association. There are several adequate studies, covering the full range of levels of exposure that humans are known to encounter, that are mutually consistent in not showing a positive association between exposure to a specific agent and a health outcome at any level of exposure. A conclusion of no association is inevitably limited to the conditions, levels of exposure, and length of observation covered by the available studies. In addition, the possibility of a very small elevation in risk at the levels of exposure studied can never be excluded. These five categories cover different degrees or levels of association, with the highest level being sufficient evidence of a causal relationship between exposure to a specific agent and a health outcome. The criteria for each category incorporate key points discussed earlier in this chapter. A recurring theme is that an association is more likely to be valid if it is possible to reduce or eliminate common sources of error in making inferences: chance, bias, and confounding. Accordingly, the criteria for each category express varying degrees of confidence based upon the extent to which it has been possible to exclude these sources of error. To infer a causal relationship from a body of evidence, the committee relied on long-standing criteria for assessing causation in epidemiology (Hill, 1971; Evans, 1976). - Sufficient Evidence of an Association Evidence is sufficient to conclude that there is a positive association. That is, a positive association has been observed between herbicides and the outcome in studies in which chance, bias, and confounding could be ruled out with reasonable confidence. For example, if several small studies that are free from bias and confounding show an association that is consistent in magnitude and direction, there may be sufficient evidence for an association. - Limited/Suggestive Evidence of an Association Evidence is suggestive of an association between herbicides and the outcome but is limited because chance, bias, and confounding could not be ruled out with confidence. For example, at least one high-quality study shows a positive association but the results of other studies are inconsistent. - Inadequate/Insufficient Evidence to Determine Whether an Association Exists The available studies are of insufficient quality, consistency, or statistical power to permit a conclusion regarding the presence or absence of an association. For example, studies fail to control for confounding, have inadequate exposure assessment, or fail to address latency. - Limited/Suggestive Evidence of No Association There are several adequate studies, cover the full range of levels of exposure that human beings are known to encounter, that are mutually consistent in not showing a positive association between exposure to herbicides and the outcome at any level of exposure. A conclusion of "no association" is inevitably limited to the conditions, level of exposure, and length of observation covered by the available studies. In addition, the possibility of a very small elevation in risk at the levels of exposure studied can never be excluded. OP insecticide data in its conclusion, the committee reviewed the OP epidemiology literature. The committee responsible for GW2 (IOM, 2003a) reviewed the literature on OP compounds. The present committee reviewed relevant epidemiology studies published since the preparation of that report. Animal studies had a small role in the committee’s assessment of association between putative agents and health outcomes. As with previous committees, this committee used animal data for making assessments of biologic plausibility in support of the epidemiologic data rather than as part of the weight of evidence to determine the likelihood that an exposure to a specific agent might cause a long-term outcome. The committee classified the evidence of an association between exposure to sarin and cyclosarin and a specific health outcome into five categories (Box 1-1). The categories closely resemble those used by previous committees that evaluated the effects of chemicals related to the Gulf War (IOM, 2000a, 2003a) and those used by several IOM committees that have evaluated vaccine safety (IOM, 1991, 1994a), herbicides used in Vietnam (IOM, 1994b, 1996, 1999, 2001, 2003b), and indoor pollutants related to asthma (IOM, 2000b). The committee’s conclusions, presented in Chapter 4, represent its collective judgment. Evidence from available studies is sufficient to conclude that a causal relationship exists between exposure to a specific agent and a specific health outcome in humans, and the evidence is supported by experimental data. The evidence fulfills the guidelines for sufficient evidence of an association (below) and satisfies several of the guidelines used to assess causality: strength of association, dose–response relationship, consistency of association, biologic plausibility, and a temporal relationship. Evidence from available studies is sufficient to conclude that there is a positive association. A consistent positive association has been observed between exposure to a specific agent and a specific health outcome in human studies in which chance1 and bias, including confounding, could be ruled out with reasonable confidence. For example, several high-quality studies report consistent positive associations, and the studies are sufficiently free of bias, including adequate control for confounding. Dr. Victor J. Dzau, M.D. As former members of the VA Research Advisory Committee on Gulf War Veterans Illnesses, we are gravely concerned by the makeup of the committee that IOM staff has chosen for the upcoming review of Gulf War health literature. The membership is grossly imbalanced toward the 1990’s government position that Gulf War veterans have no special health problem — just what happens after every war, related to psychiatric issues, and not environmental exposures. Reviving this discredited fiction will cause veterans’ doctors to prescribe inappropriate psychiatric medications, and will misdirect research to find effective treatments down blind alleys — an unconscionable breach of the duty owed to veterans and expected of the Institute of Medicine. Yet, as the attached analysis shows, fully half the individuals selected for the new committee are predisposed toward the discredited 1990’s government position, either because they promoted it themselves, or because they are professionally oriented to view such problems as psychiatric and/or unrelated to environmental exposures. The rest of the committee are neutral figures with a background in other neurological conditions like Alzheimer’s disease and traumatic brain injuries. No member of the committee has been actively engaged in Gulf War health research in the past decade. Given that the committee is charged with producing a consensus report, it is wholly foreseeable that its conclusions will end up between the group predisposed to 1990’s fictions and those who are neutral but unfamiliar with the subject. Compared to the 2010 IOM report, it will be a reversal toward the discredited 1990’s position. In September, VA’s Director of Epidemiology, Dr. Robert Bossarte, and his staff presented findings of two new VA studies to the Research Advisory Committee. One showed that diagnoses given to Gulf War veterans in VA hospitals over a ten-year period were no different than those given to veterans of the same era who did not deploy. The other, a large survey, showed that rates of PTSD and depression were dramatically higher than previously reported by Gulf War veterans. The diagnoses study presentation failed to mention that VA had no diagnostic code for Gulf War illness or chronic multisymptom illness, that VA doctors at this time were trained to consider the illness as psychosomatic, and that veterans who served during the period of greatest toxic exposures were inexplicably excluded from the study. Similarly, the survey presentation did not disclose that the survey was overweighted with mental health questions to the extent that the Committee had repeatedly recommended against sending it out, http://www.va.gov/RAC-GWVI/docs/Committee_Documents/CommitteeDocJune2012.pdf, Appendix F, and that the survey’s principal investigator had testified to Congress that his superiors lied to then-VA Chief of Staff John Gingrich to induce him to release the survey. https://veterans.house.gov/witness-testimony/dr-steven-s-coughlin The presentation did not mention that people suffering from chronic health problems often become depressed after 23 years, but it is not the cause of their illness. Dr. Bossarte and his staff will be presenting to the new IOM committee on December 3. Very likely they will be presenting their new research findings. But no one on the IOM committee will know that they are not being told the whole story, because there are no members with the necessary background. Thus, misleading VA studies will be presented to an imbalanced IOM committee, which will include the findings in its new report, and science will be “revised”. While VA says that it provides care and benefits to veterans suffering from Gulf War illness under the category “undiagnosed illnesses,” http://www.publichealth.va.gov/exposures/gulfwar/medically-unexplained-illness.asp, the reality is otherwise. A 2014 VA report to Congress revealed that only 11,216 Gulf War-related claims have been approved, while 80 percent are denied. VA’s September 2014 press release that “nearly 800,000 Gulf War era Veterans are receiving compensation benefits for service-connected issues” is grossly misleading. http://www.91outcomes.com/2014/09/va-press-release-va-secretary-mcdonald.html VA counts every veteran in the area from 1990 to the present as “Gulf War era,” not just those who served in 1990-91. 7. One of the psychiatric-oriented briefers was a member of the IOM Board on the Health of Select Populations, the IOM board that oversees veterans’ studies. Dr. Kurt Kroenke, an Army doctor and psychiatric-oriented Gulf War researcher in the 1990’s, is a leading figure in somatic medicine. He co-chaired the “Conceptual Issues in Somatoform and Similar Disorders” project that laid the groundwork for the controversial expansion of the definition of somatoform disorders in the recently revised Diagnostic and Statistical Manual of Mental Disorders (DSM-5) of the American Psychiatric Association. http://www.ncbi.nlm.nih.gov/pubmed/17600162 http://dxrevisionwatch.com/dsm-5-drafts/dsm-5-ssd-work-group/ He has co-authored publications with two members of the IOM treatment committee and two members of the new IOM committee that begins work December 3. In summary, there has been a long-term corrupt relationship between the government and the Institute of Medicine to deny the true state of Gulf War veterans’ health, of which the makeup of the new committee is only the latest example. We urge you to conduct a thorough investigation of this problem and to fix it. The most effective and rapid approach is for the IOM to handle this itself. If it does not, however, we will work with veterans’ organizations to show Congress the need to conduct an investigation and enact legislative solutions. As part of putting IOM on solid ground going forward, we urge you to replace the eight provisional members predisposed to the government’s scientifically discredited 1990’s position with individuals representing current scientific knowledge of Gulf War research and the health effects of neurotoxic exposures. We also urge you to replace those members of the Board on the Health of Select Populations identified with this position, with individuals representing current scientific knowledge regarding veterans’ health and environmental exposures. The provisional committee is grossly imbalanced in favor of the 1990’s government position that Gulf War veterans have no special health problem—just what happens after every war, related to psychiatric issues, and not environmental exposures. The following committee members are predisposed toward this position, either because they personally supported it, or because they are professionally oriented to view these kinds of health problems as psychiatric and unrelated to environmental exposures. Dr. Javier Escobar is a professor of psychiatry at the Robert Wood Johnson Medical School, where his work “focuses on the somatic presentations of psychiatric disorders in primary care . . . as director of the ‘Medically Unexplained Physical Symptoms Research Center.’” http://www.physicianfacultyscholars.org/nac/escobar.html With Dr. Kroenke he was a member of the “Conceptual Issues in Somatoform and Similar Disorders” project that laid the groundwork for the controversial expansion of the definition of somatoform disorders in the recently revised Diagnostic and Statistical Manual of Mental Disorders (DSM-5) of the American Psychiatric Association, and was a member of the task force that wrote DSM-5. http://www.ncbi.nlm.nih.gov/pubmed/17600162 http://dxrevisionwatch.com/dsm-5-drafts/dsm-5-ssd-work-group/ http://www.dsm5.org/MeetUs/Pages/TaskForceMembers.aspx He was a member of the 2013 IOM treatment report committee. The other half of the committee are neutral, people who have not been engaged in Gulf War health research themselves, but who have a background in studying other neurological conditions and expertise in relevant subjects like neuroimaging, neuropsychology, and neuroepidemiology. They include Dr. Robert Brown, Dr. Ellen Eisen, Dr. Mary Fox, Dr. Clifford Jack, Dr. Joel Kramer, Dr. Francine Laden, Dr. James Noble, and Dr. Anbesaw Selassie. Conspicuously absent from the committee are any doctors or scientists who have studied Gulf War health in the past decade, who have studied or treated other groups subjected to neurotoxic exposures like farmers or pesticide applicators, or who have studied the effects of Gulf War exposures in animals. 2016 IOM Gulf War and Health report, pp. 102,145,149. Mr. Hardie, how do I help in this fight? I am a gulf war veteran and since coming home, have suffered fatigue, bone and joint pain, severe headaches, irritable bowel syndrome for 25 years. I've gone to the VA and was told I didn't meet criteria to obtain any veterans benefits. I just saw an article today, that led me to you. Again, what can I do to assist in this fight for not just myself but other gulf war vets.